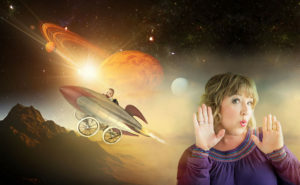 Just ask Department of Theatre alumna Nicolle Nattrass, whose solo show, Mamahood: Bursting Into Light, courageously chronicles the journey of becoming a mother at age 40 . . . complete with a rock ‘n roll soundtrack. With nine plays and a busy life as an actress, director, dramaturge, certified addiction counselor and parent, Nattrass is a great example of how Fine Arts alumni can transform life experiences into art. Indeed, with Mamahood, she’s using her own story to reach out to other moms (and dads and grandparents) and deconstruct some prevailing motherhood myths. 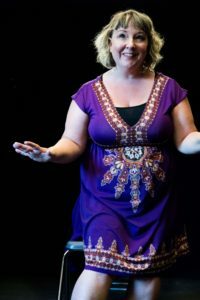 The public is also invited to a free preshow lecture with UVic English professor Sheila Rabillard on “Motherhood Out Loud”, discussing the changing face of motherhood in theatre (7pm Friday, October 12). 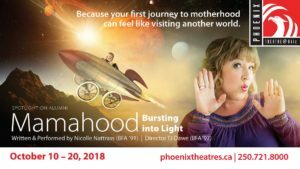 Mamahood: Bursting into Light runs October 10 – 20, 2018 at UVic’s Phoenix Theatre. Tickets are $16 – $26 at 250-721-8000 or phoenixtheatres.ca. Note: there is also an October 9 preview, offering $8 tickets only after 5pm on the day-of the show.